Completed Chester Yawl, from plans at Chesapeake Light Craft. 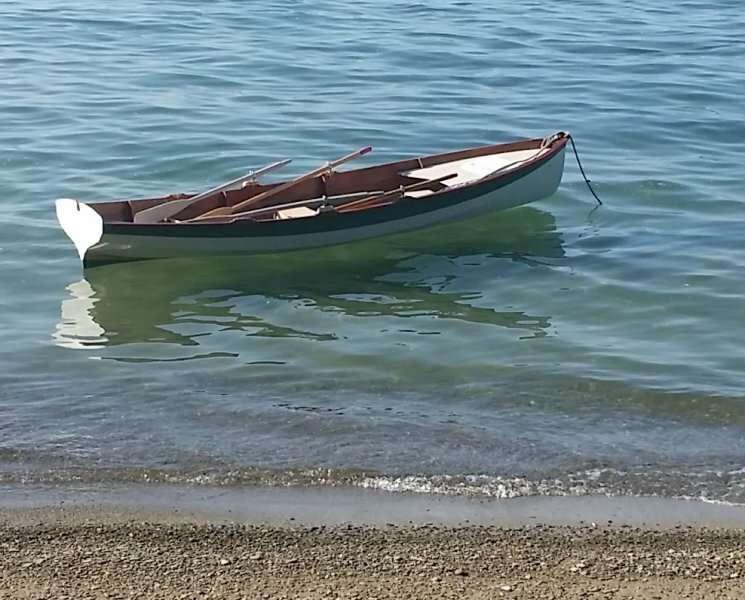 This is a working boat, intended for rowing by one or two on lake Erie. It has a work boat finish. The gravel beaches on this part of Lake Erie are very hard on the finish.